This is a fast pace world where things are flying in the air, technology has reached to insurmountable heights and people are keeping up with them just to be sophisticated, up to dated and up to the mark. There is nothing that is unfeasible, there is nothing that you cannot achieve. Even buying and selling online has become so easy, there are shopping blogs, fashion, entertainment, art and design blogs being running on 4th gear to give you a superlative degree of fast experience however still there are people who stand up from the couch and go out in the malls to get the things themselves. Well that is totally their choice, I still like to be a couch potato and buy the accessories, dresses and commodities online. But when you want fresh groceries and other household you need to visit the excellent markets to get the stuff immediately because online shipment of products is a bit late. However carrying the stuff, goodies and all luggage in hands is near to impossible. It too does not look good if you have tons of things in your bare wide hands without a handbag. Therefore eco-friendly and easy to hold—hand carries are made to give you the best shopping experience. The bags do not tear apart, their handles are firm and give you a good carrying practice. 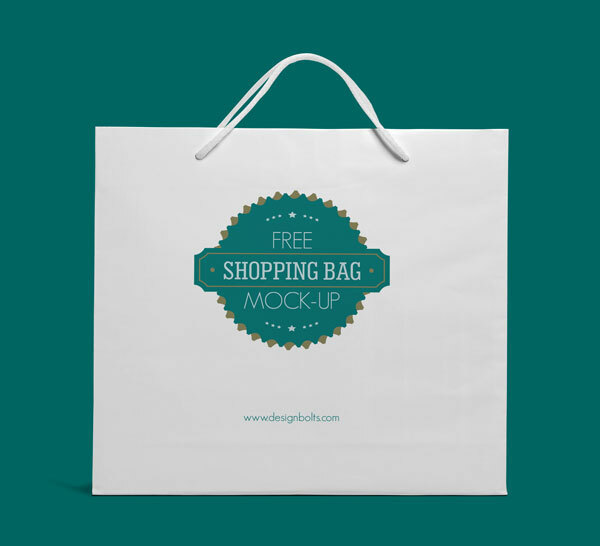 Here I have designed a free eco-friendly white shopping bag mock-up that can be used for presentation purposes, so all those who want to put their own design element into this mockup can easily insert in their design and show it off to their clients. I am sure he will get the clue how would the shopping bag look in real, actual and tangible form. Stick around for more art and design posts, we are here with a lot of freebies, but you need to subscribe us for all the interesting posts. Keep a check on us because we publish each day a new collection to win your heart. Revert us with your feedback guys, here we go!